For a short time I had a job working for a geophysical exploration company based in Dhahran, Saudi Arabia. It was a pretty dull occupation, running data crunching programs in a sort of air-conditioned Nissen hut. I was looking forward to leaving and taking up a place on a M.Sc. geology course in Canada, when news came through that my opposite number in the field had gone berserk and landed one on the pilot. This was not his first tantrum and so it was decided to bring him back to town for a spot of rehab. As a result, in the short term, there was a bit of a problem and I was dispatched to fill the breach. Where was I heading? Well, the field team were currently shooting seismic lines in the heart of the Rub’-al-Khali desert, otherwise, and with good reason, known as the Empty Quarter. At the time I was not best pleased, I wanted to get out of Saudi Arabia, not head off on a jolly to the interior. However, it turned out to be an amazing experience. Although a desert in the very strictest sense of that term, it had a strange haunting beauty. Mountainous red sand dunes alternate with vast, table-flat sabkhas. This strange terrain created the perfect natural landing strip for the light aircraft that was used to service the field crew. I was only there for a couple of weeks, but it has certainly left a lasting memory. A typical scene in the Rub’-al-Khali desert. Giant red sand dunes alterante with flat, concrete-hard sabkhas. OK, great, but what has this got to do with meteorites? Well, unbeknown to me at the time the location of our field camp was relatively close to the possible site of the legendary lost city of Wabar. When I say relatively close, we were still several hundred miles away, but that’s close enough when compared to the size of this vast desert. Of course no one really knows the location of Wabar or even if it ever existed. But that hasn’t stopped people trying to find it. 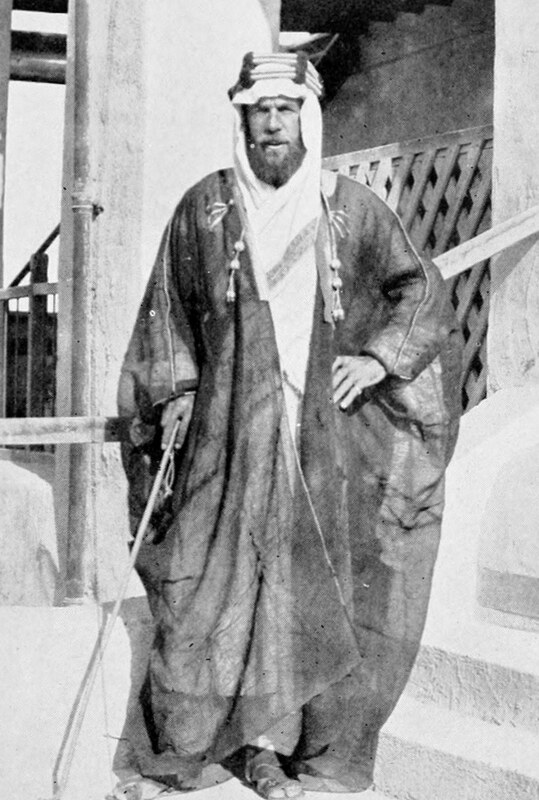 One man who did go in search of the mythical city was Harry St John Philby, an explorer, writer, diplomat and spy. In fact this last “trade” ran in the family, because he was also the father of Harold “Kim” Philby, the notorious Cambridge spy. Of course Philby senior’s 1932 expedition didn’t find a lost city, what they discovered was a series of craters, partially filled with sand. The surrounding area was littered with fragments of white sandstone, black glass and lumps of iron metal. Philby at first thought the craters were volcanic in origin. However, following the expedition he took some small samples of the metal to Dr L. J. Spencer at the London Natural History Museum, who identified the material as being meteoritic in origin, mainly as a result of their high Ni content. Since Philby’s original discovery there have been a number of other expeditions to the site, most notably in 1966, when expeditions by the National Geographic Magazine and the Aramco oil company were able to locate and remove several large iron meteorite fragments. These are now on display in the National Museum of Saudi Arabia in Riyadh. In 2008 a Swiss research team obtained permission to visit the site and conduct further field studies. They found that only two craters were visible and that a significant amount of sand movement had taken place since previous recent expeditions to the area. 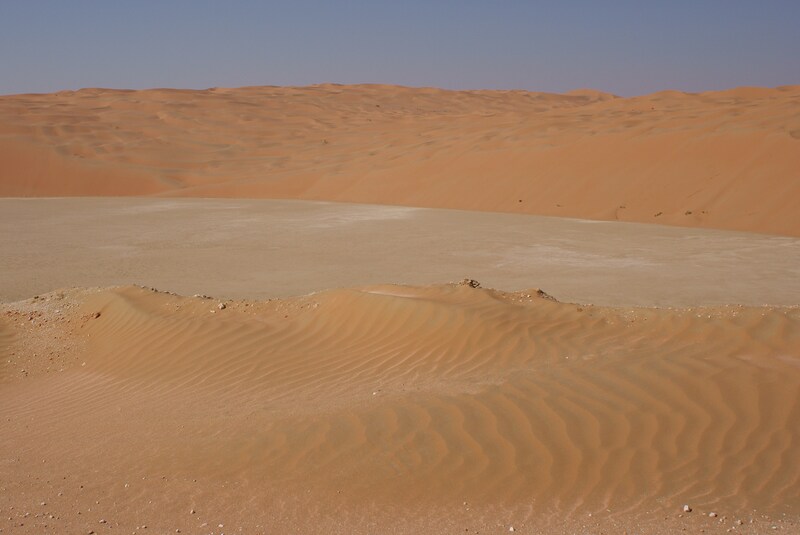 They were able to establish that the sand dunes in the Wabar area migrate at rates or 1 to 2 metres per year. Follow-up analysis of impact melted glass sampled by the expedition indicates that it represents a mixture of Aeolian sand and iron meteorite-derived material. It appears that the craters do not penetrate below the level of the sand sheet, based on the paucity of Ca in the impact melts. I was involved in the analytical work on the samples collected by the Swiss team and our joint results were published in a recent article in the journal Meteoritics and Planetary Science. Although it felt a little strange to be analysing rocks from the Rub’-al-Khali desert, while sitting in a nice air-conditioned lab, the work on the Wabar samples has given me a fresh perspective on this fascinating and enigmatic place.